The U12 is the successor of U11 and the upcoming High-End flagship smartphone from HTC. The Taiwanese tech giant recently unveiled HTC U11 Plus with massive 6 inch Display with thin bezels. HTC U12 flagship might sport the remarkable Dual UltraPixel Camera design which was arrived with HTC Evo 3D and also present in the One M8 flagship. Now we roundup some of the remarkable features of U12. In the latest flagship, HTC totally revamped the design and diaplay. The HTC U11+ flagship arrived with 6inch massive SuperLCD6 Display with 18:9 aspect ratio which is the latest trend. Due to the impressive work done by HTC design Engineers, U11+ attains whooping 78% screen to body ratio. In the upcoming flagship also, HTC may use the same design, according to some leaks. So we can expect HTC U12 to come with 5.5-5.7inch Super LCD6 Display with 18:9 aspect ratio and may sport QuadHD+ screen resolution. HTC developed the UltraPixel tech many years back and using in the flagship devices. The U11+ sports a primary Camera of 12MP UltraPixel 3 sensor with 1.4 micron Pixel size. The Camera also supports AutoHDR, Optical Image Stabilization and EIS (Electronic Image Stabilization) Features which are simply awesome and advanced. The HTC President said at the launch event of HTC U11+ that they will bring the Dual Camera setup back with the next year flagship. So U12 might come with 12MP Dual UltraPixel Camera sensors on the rear along with Dual-LED flash. The upcoming flagship from HTC may also support HDR, OIS and EIS features. What’s underneath the hood ? HTC U11 and U11+ flagships are powered by Snapdragon 835 chipset and the 128GB U11+ variant sports 6GB Ram while the 64GB variant sports 4GB Ram. The successor of U11 will be powered by Qualcomm Snapdragon 845 chipset, according to some rumours. The chipmaker has shared the specs and features of the next flagship System on Chip(SoC) on the events dated December 4th and 5th. The Snapdragon 845 Mobile Platform contains an Octacore CPU, Adreno 630 GPU, Spectra 280 ISP, Hexagon 685 DSP, an SPU (Secure Processing Unit), X20 LTE modem and finally Quick charge 4+ support. The SD845 chipset which will power HTC U12 contains four Kryo 385 cores based on Cortex A75 cores clocked at 2.8 Ghz. The remaining four Cortex A55 cores serve for power efficiency purposes. According to Qualcomm, the flagship chipset is built on 10nm Samsung’s node. So HTC U12 will be more powerful than its predecessor. The Snapdragon 845 contains X20 LTE modem on-board which serves for connectivity purpose. The HTC U12 could attain the maximum download speed of 1.2 Gbps due to Cat. 18 support of X20 modem which sports exclusive downlink features : 5×20 MHz carrier aggregation and Up to 4×4 MIMO on three carriers. The modem supports Cat. 13 upload speeds upto 150 Mbps, and sports remarkable uplink features : Qualcomm Upload+, 2×20 MHz carrier aggregation and Up to 2x 75Mbps LTE streams. Because of lightening fast speeds, HTC U12 is very much useful to Cloud computing, Internet of Things (IoT), download of 4K videos etc. The next generation modem from Qualcomm also supports advanced features like Dual SIM Dual VoLTE and HD, Ultra HD Voice. Because the modem is built on 10nm process, power efficiency is better than previous Qualcomm modems. On which platform HTC U12 is gonna run ? The latest HTC U11+ flagship arrived with inbuilt Android 8.0 Oreo and recently HTC U11 also started receiving the Oreo update in the US, Europe and Taiwan. 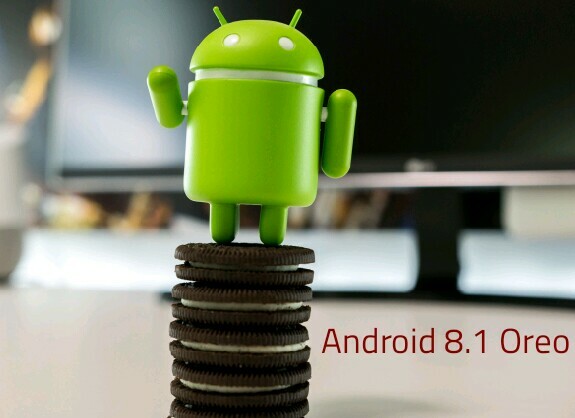 As Google is going to release the Android 8.1 final build in December, the upcoming flagship from the Taiwanese tech giant probably come with pre-loaded Android 8.1 Oreo. Google released the first developer preview of Android 8.1 on October 25th and the second and final preview on November 27th. In Android 8.1, the Search giant increases the API level to 27. The most awesome feature of Android 8.1 is the Neural network API which will improve machine learning a lot. Bluetooth battery levels in Quick settings toggles and Buttery smooth scrolling are some of the new features of the next iteration of Android. When will HTC U12 come out ? It is still unclear when HTC is going launch the next flagship. But we can estimate based on the earlier launches of the Taiwanese tech giant. HTC 10 was unveiled in April 2016 and came to the US shores in May. The HTC U11 flagship was launched in May 2017 and arrived the US in June. So the upcoming flagship from HTC probably be launched in April or May 2018. It might land in the US soil in late-May or early-June 2018. The official Release Dates of HTC U12 and the price list will be revealed in coming days. We will update this article with latest news about HTC U12 in coming days. According to a famous leakster Evan Blass, the HTC’s upcoming flagship already made its first appearance at the 5G event that took place at Taiwan, a few days ago. The leaked picture of HTC U12, codenamed as HTC Imagine shows the maximum download speed of 809.58 MBPS and the upload speed of 49.87 MBPS with ping of 13ms. So it seems that the HTC U12 flagship is coming with 5G capabilities and might become the the World’s first 5G flagship phone. However, as the U12 is coming with Snapdragon 845 chipset which contains X12 Modem, capable of 1.2 Gbps download speeds, probably it was a speed test on next gen 4G networks. Leaked image shows off the display of U12 which is quite similar to U11 Plus 18:9 bezelless display. We are yet to hear about the release date of HTC U12.